Download AMCAT Computer Architecture Questions (Computer Science section) 2019: This section is designed to evaluate the candidates knowledge in basics of operating system and computer architecture, computer networks and database concepts. You should be aware of the possible types of AMCAT Computer Architecture Questions so as to attempt this section. Nevertheless, most of the questions are theoretical. Hence its important to have the concepts clear and get the best scores. 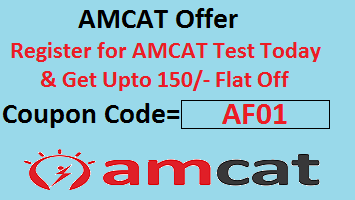 All the IT job aspirants, who wish to be Software Developers, Database Administrator and Network Engineers,must attempt AMCAT Computer Science section. So, gear up yourself to grab as much information as possible and take up this section. In general, 2-3 questions from computer architecture definitely come in this section. Also, it hardly takes 45 seconds to solve the problems. The difficulty level varies from easy to moderate. Furthermore, we will put light on what computer architecture is all about and questions on it. Since the word architecture, itself refers to structure or design. So, Computer architecture also deals with the computer specifications. 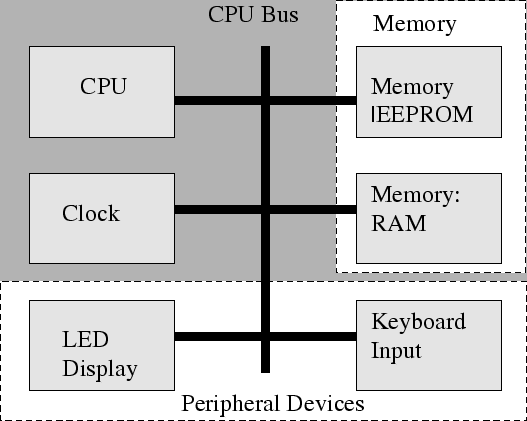 It explicitly defines the components like I/O devices, memory structure, processor and sub systems in the body of a computer system.It tells how a set of software and hardware interact to form a computer system. In other words, computer architecture is solely about how a computer system is designed and what technologies it is compatible with. The main components in a typical computer system are the processor, memory, input/output devices, and the communication channels that connect them. By all means, the processor is the brain of the system. It is the component that executes a program by performing arithmetic and logical operations on the input data. In a standard computer system there is only one processor, known at the central processing unit, or CPU. Memory is a kind of passive component that stores information unless it is requested by another part of the system. During generic operations it inputs instructions and data to the processor. In addition, it is the source or destination of data transferred by I/O devices. Information in a memory is accessed through its address. In programming language, memory is a one-dimensional array. Input/output (I/O) devices transfer information without altering it between the external world and one or more internal components. I/O devices also act as secondary memories, for example disks and tapes, or devices used to communicate directly with users, such as video displays, keyboards, and mouses. The communication channels that coordinate the system together are usually simple links that connect two devices or more complex switches that interconnect several components They allow any two of them to communicate at a given point in time. When a switch is configured to allow two devices to exchange information, all other devices that rely on the switch are blocked, i.e. they must wait until the switch can be reconfigured. Which memory device is generally made of semi-conductors? Explanation: Memory devices are usually made of semi conductors for faster manipulation of the contents. [16 chips vertically with each having 2 chips horizontally]. So to select one chip out of 16 vertical chips, we need 4 x 16 decoder. Hope this article helps you in giving idea about AMCAT Computer Architecture Questions. Feel free to comment for any questions or if anything you want to add. thanks for providing sucha helpful content.